Claudia Mills is the acclaimed author of fifty early-chapter and middle-grade books, including 7 x 9 = Trouble!, How Oliver Olson Changed the World, and Zero Tolerance. 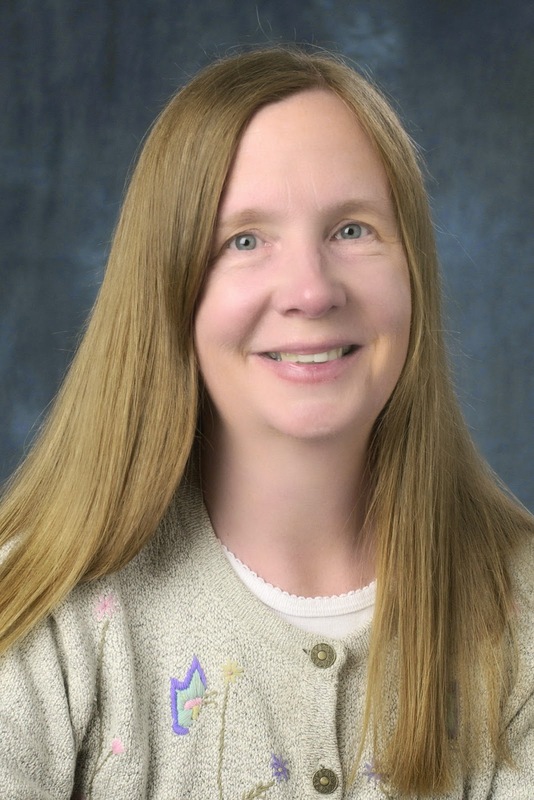 Claudia was a professor of philosophy for over twenty years at the University of Colorado at Boulder, where she received many teaching awards, before leaving the university to write full time. She has two sons. To learn more, visit her website at claudiamillsauthor.com. 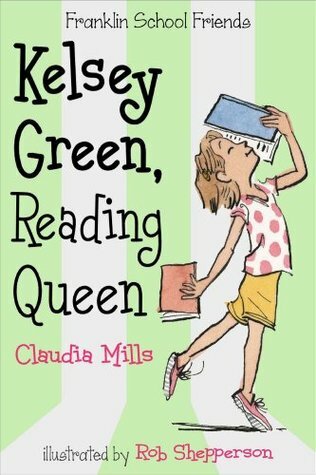 A cute read about a young girl who loves to read and wants to win a reading contest. Kelsey reminds me a lot of myself at her age, spending most of her free time reading. But she also had two good friends, Annika and Izzy. But neither of Kelsey's friends love reading the way she does. In fact they have other interests, Annika loves math and Izzy loves running. Kelsey is determined to win the reading contest by helping her classmates read more and by determining if her main rival Simon is cheating or not. 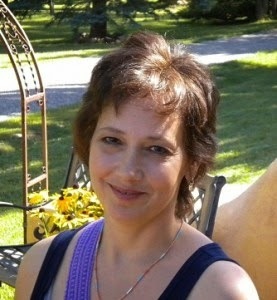 Kelsey presents as a likable, cute girl with a strong competitive streak. She works hard to read books that qualify for the contest but don't really challenge her. She recruits her friends to help her determine if Simon really is reading all the books he says he is and they come up with a plan to find out. The story feels realistic with a teacher that's very focused on her job and a jolly principal who has volunteered to shave his beard if the school meets its reading goal. 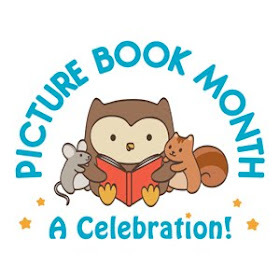 The book mentions a lot of really great books that would be great for children to check out and the emphasis on the delights of reading is a great theme. This series is likely to appeal to readers who like Judy Moody, Clementine, and Ivy & Bean. Personally, I found it a bit irritating that Kelsey assumed Simon was cheating because he was beating her in the contest. Also, the principal's bouncing into the classroom during prime teaching time also bugged me, probably since I'm a teacher myself and teachers need every minute they can get without interruption. However, it's very possible that there are principals out there like that. Neither of these things are likely to bother a child reader. Annika Riz loves math more than anything. She's trying to teach her dog, Prime, to count. She's determined to beat fellow math whiz Simon Ellis in a Sudoku contest at the public library. She even sleeps under number-patterned sheets. But Annika's best friends Kelsey and Izzy think math is boring. All they care about is the upcoming school carnival: their principal is going to be dunked in a dunking tank and their class is going to have a booth selling home-baked cookies. But then disaster foils the friends' cookie-baking plans. Can math save the day? The Franklin School Friends series focuses on the friendships between three girls, Kelsey, Annika, and Izzy. The first book focuses on Kelsey and her love of reading, the second book, which I'm reviewing here focuses on Annika and her love of math, and the third book, will be about Izzy and her love of running. Annika loves math and doesn't understand why others have such a hard time with it. When her teacher tells her about a sudoku contest she eagerly starts preparing to face the other third graders in the area. Simon, a boy in her class who is seemingly good at everything, is her special nemesis. In addition, Annika's class is getting reading to host a cookie booth at the upcoming PTA fundraising carnival. But despite their best efforts, the cookies don't turn out quite right and they end up trying lemonade instead. Can Annika's math skills help her class? Can her love of math shine through in the contest? 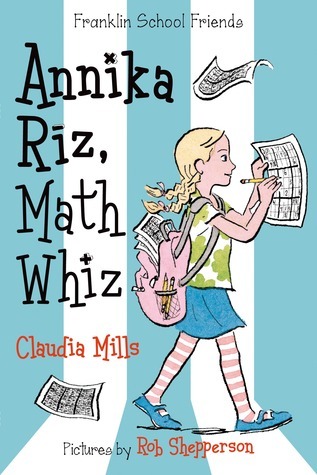 Another cute book by Mills that highlights the value of math and the fact that kids can be friends even with different interests. I especially liked how Annika's math skills saved the day. A fun read for children who like realistic stories with determined main characters. Check out the downloadable curriculum guide for the Franklin School Friends here! 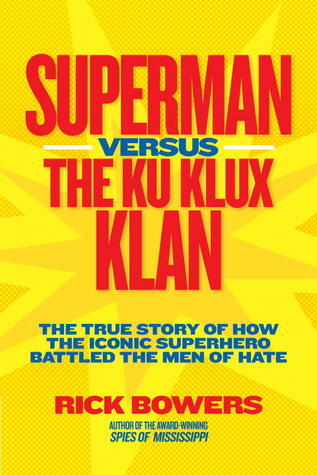 I found this a very readable, fascinating account of the creation of Superman and how this fictional superhero was used to fight the Ku Klux Klan. I've heard the story of Superman's creation before but not in as complete a fashion as is explained here. It's an interesting story about two Jewish teenagers growing up during the Great Depression who desperately wanted to join the comics industry. But neither could ever imagine their creation becoming the phenomenon it did. Unfortunately for them, they turned the copyright over to DC Comics (normal procedure at the time) and as a result didn't receive the benefits they should have. But Superman has throughout his history provided not only entertainment but the idea that good can defeat evil, even the real thing. The Ku Klux Klan may not have started out as an organization of evil but it certainly became one. What I didn't know was that it petered out after their extreme acts of violence got out of control. Reading about the deliberate reincarnation of the organization was a bit sickening, but ironically it seems that the people responsible for its recreation were more interested in money than ideology. Unfortunately, many of those who joined the organization did fully buy into the hate and fear that the organization encouraged and often acted on it, violently. Seeing these two stories come full circle when the Superman radio show decided to have Superman face an organization that clearly represented the KKK. This book represents the impact that even a fictional character can have on the history of a nation. The power of propaganda for good or evil can easily be seen in this story, a story that happens to be true. 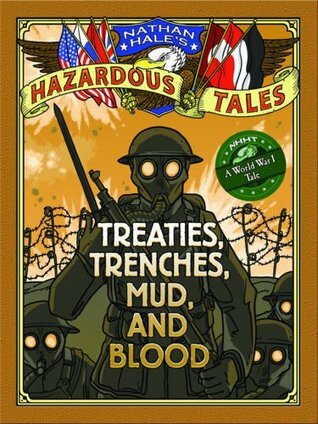 A great example of the kind of history book that children will want to pick up and read. There is however a lot of text here, more photos and extras would have been nice. But the story is compelling enough to make up for that, but reluctant readers will be put off by the amount of text. A great read though for more advanced readers. Fear and hate, two of the most dangerous weapons on the planet. And boy did the segregationists use them to manipulate the public. Segregationists in Mississippi were so determined to undermine the civil rights movement and the legal decisions that were increasingly turning against them that they set up the Mississippi State Sovereignty Commission to combat it. 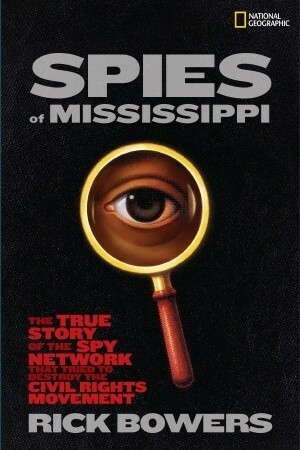 They recruited spies to check on civil rights workers and anyone they considered a threat. Generally they tried to use more subtle methods to stop the movement, things such as manipulating jobs, white supremacist organizations, etc. All to undermine and stop integration. Bowers shares the stories of men who worked for both sides, those who worked against integration and those who worked for it. Some of these stories were encouraging and some of them were sad. It just bothered me what these men were willing to do to preserve their way of life, no matter how distorted. A powerful example of how much some people hate change and yet how impossible to avoid. This is an important book about the dangers of too much power in the hands of a few and how easily it can be misused. It's also an important book about the courage of individuals in making a difference despite the sacrifices that are sometimes required. February 21, 1965. Controversial civil rights leader Malcolm X is gunned down during a speech in Manhattan. Few were shocked by the news of Malcolm X's death. Since 1952 the former member of the Nation of Islam had supported the Nation's philosophy of violence as the method to achieve justice for blacks in the United States. But in March 1964, after a major shift in his philosophy, Malcolm changed his message. He no longer agreed with the Nation of Islam and feuded with its leaders. The 39-year-old was shot in public at point-blank range. The news devastated Malcolm's followers. But other people reacted to his death with relief. Three men were found guilty of the murder. But rumors of conspiracy and cover-up still swirl. 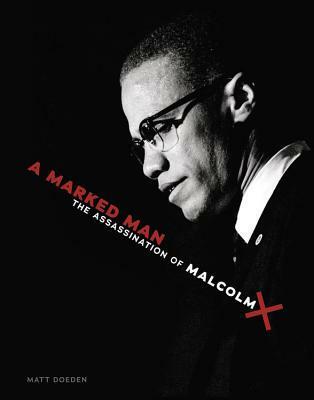 In this chronicle of an assassination, find out the answers to these questions and learn more about the impact of Malcolm X's life, and his death, on civil rights in the United States. I've long had mixed feelings about Malcolm X. On the one hand, the man had a great passion for his cause and he expressed himself powerfully. But on the other hand, his long expressed ideas about hate for whites and the use of violence to achieve black rights I don't agree with at all. Yet I learned some really interesting things reading this book. The information about Malcolm's background caused me to empathize with tragedies of his life. His father's death when he was six, watching his home burn at age four, having his mother committed to an asylum when he was 13 and of course the constant bigotry he faced because he was black. It wasn't hard to see what lead Malcolm to hate whites and why the Nation of Islam appealed so much to him while he was in prison. The irony in all this is that after spending so many years working for and promoting Nation of Islam, his own ideas and passion led him away from it. A pilgrimage to Saudi Arabia changed some of Malcolm's extremist views and pointed him toward greater cooperation with the mainstream civil rights movement. This infuriated Malcolm's former allies with the Nation of Islam. He himself expected to be targeted and he was right. The book explains what is known about the circumstances surrounding the assassination including the questions that remain. While many suspected the Nation of Islam of being behind it, it was never proven. What I found so sad was that if greater precautions had been taken, it might have been postponed or not occurred at all. A well put-together book about a controversial figure from history who left his mark on the world. The book is beautifully designed with quotes, photographs, a glossary, index, and brief biographies of some of the major players. 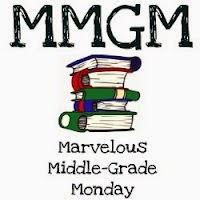 Check out other great nonfiction reads at the Nonfiction Monday blog. I've been on a graphic novel kick lately, here is the first of several posts to come specifically on graphic novels. Delilah Dirk finds trouble wherever she goes, often deliberately seeking it out. Selim's life as a palace guard in Constantinople changes forever after he meets Delilah. Forced to flee in order to save his neck, Selim finds himself blasting from one adventure to another without a chance to catch his breath. Once he finally has a chance to stop and think, he wonders what he really wants out of life. With lots of action mixed with a good dose of humor, Delilah Dirk was a very enjoyable read. 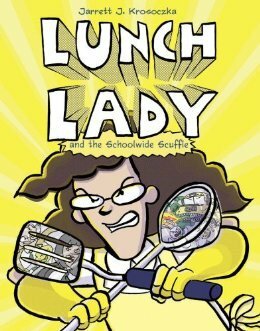 This is sure to be a popular graphic novel in many middle schools and high schools. I found myself delighted with this book. The only problem I had with it was that Delilah's outfit has a hole in the front that shows more of her chest than I'm comfortable with. Why do so many graphic novels/comic books do this to women? Make them seem more of an object than a person? However, Delilah's character and fighting prowess mostly make up for that, but that is the reason I can't recommend it for a younger age. There is nothing else inappropriate in the book though except a lot of fighting. I've become a real fan of this series which addresses history topics in a very entertaining, appealing way. I especially appreciated the way that Hale represented each country with a different animal. This helped keep the different armies and their actions separate. Tackling the whole of World War I was rather ambitious, but the author/illustrator does a good job at hitting the highlights without getting bogged down. The representation of war as a monster that grows in size and ferocity as the war gets worse and worse I thought was quite appropriate as it shows that war is not a good thing and the destruction that goes with it can't really be controlled by anyone. The inclusion of Nathan Hale telling the story to the hangman and the British soldier adds some humor to a very humorless topic. Well done, but since it does address war there are some fighting scenes, but the graphic nature of war is kept to a minimum. 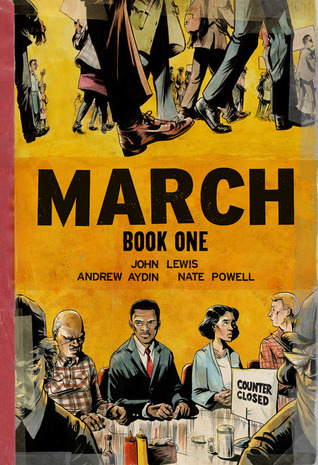 Today, I have three civil rights related books to share. I thought it would be appropriate to share them now because the 50th anniversary of the Freedom Summer murders was just two days ago. I hope that none of us ever forget the sacrifices that have been made to achieve civil rights. This graphic account of John Lewis's life is very well done. I am assuming this is the first of several volumes about Lewis's involvement with the Civil Rights Movement. It starts with Lewis as a Congressman getting ready to leave for Obama's inauguration. Visitors arrive and he starts sharing pieces of his life. A beautiful depiction of the powerful drive that led Lewis and others like him to face serious abuse and persecution in the name of civil rights. 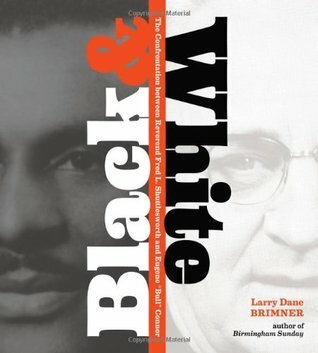 This is a great beginning book for those looking to learn about the civil rights movement and some of those involved in it. I found this to be a powerfully told story about the Civil Rights era. 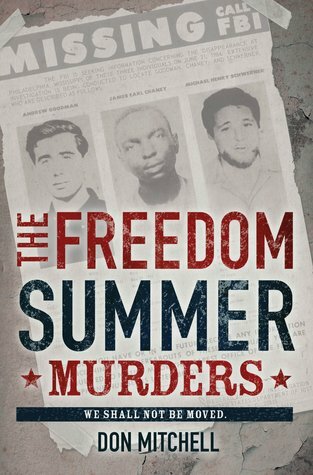 During the Freedom Summer of 1964 when several groups were working to obtain voting rights for blacks throughout the south, three young men disappeared. Mitchell explains the circumstances surrounding their disappearance before giving a brief biography of each of the three young men, two white and one black. Even in death there was great bigotry. The two white young men were shot, the black young man was severely beaten and probably dead before he was shot. The author then shares the events leading to the discovery of their bodies and the trials and memorials connected to their deaths. This story illustrates in a sickening way the circumstances existing in the South during the 1960s and long before. The sad thing is, that it's apparent from the get go that if two of the three hadn't been white, the case would not have drawn the attention that it did. The KKK did so much harm to so many and yet was so rarely brought to justice. Once again that is illustrated here. The main instigator was let go until 2005 when he was finally convicted yet even then he was only convicted of manslaughter rather than murder which it so clearly was.. And many of the others got off with just a few years in prison. I hope that we keep moving forward toward the day when as the author says the killing of a black mother's son is a tragedy equal to the killing of a white mother's son. In the 1950s and early 60s, Birmingham, Alabama, became known as Bombingham. At the center of this violent time in the fight for civil rights, and standing at opposite ends, were Reverend Fred L. Shuttlesworth and Eugene Bull Connor. From his pulpit, Shuttlesworth agitated for racial equality, while Commissioner Connor fought for the status quo. Relying on court documents, police and FBI reports, newspapers, interviews, and photographs, the author first covers each man's life and then brings them together to show how their confrontation brought about significant change to the southern city. I think the thing that sticks out to me most about this book is the power that one person can have to make a difference for either good or evil. Despite tremendous pressure and attempts on his life, Shuttleworth refused to back down from his efforts to end segregation. He was arrested numerous times, beaten up several times, had his home blown up and he still refused to give in. Connor on the other hand was just as committed to keeping segregation in place and wasn't above using his political position to fight for the status quo. In the end though his hatred and violent methods backfired on him. Shuttleworth's commitment to the nonviolent approach even in the face of great violence helped win the day. See other great nonfiction reviews at the Nonfiction Monday blog. When Hunter and his twin brother Zack, of the chaotic Moran family, hear there's going to be a kidnapping in their town, the two boys are on high alert. 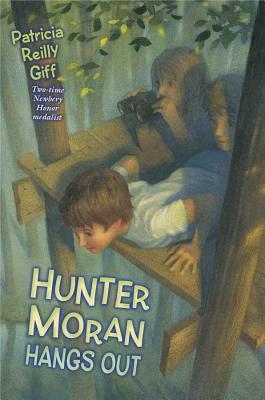 But this isn't the only threat they're facing-- there's a probable axe murderer in an abandoned house, definitely dead bodies in the pond, and their Mom is heading to the hospital to give birth to a new sibling, in this hilarious sequel to Hunter Moran Saves the Universe. I've got some rather mixed feelings about this book. On one hand the book is funny with all the shenanigans that Hunter and his twin, Zack get themselves mixed up in. On the other hand, as an adult I winced at some of the antics of the brothers. Luckily things all work out in the end, but I had a hard time with the lack of adult supervision as the boys snuck out at night, fell out of trees, snuck into neighbors basements, and tricked adults. However, from a child's point of view, all of this is great fun and quite funny as the boys cause havoc wherever they go. The family interactions were quite entertaining and felt very genuine. Hunter and Zack don't really get along with their older siblings, Linny (a silly, interfering older sister) and William (always painting something, just plain 'weird'). They do care a great deal about their five-year-old brother, Steadman, who they believe is the kidnapper's target. But Steadman is always wandering away which complicated things (although I think Steadman is smarter than his older brothers). The twins determination to get their coming sibling named K.G. (short for Killer Godzilla) is an amusing side plot. The language of the story felt very childlike, but the phrasing was a little unusual in places. The reasoning of the boys also felt real if very flawed. Overall, an amusing read for children, somewhat wince-inducing for adult readers. 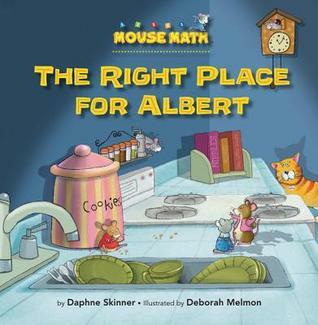 Mouse Math is a fun series by Kane Press that shares fun stories with math mixed in. Here are two books in the series. Math is a subject that many children find it hard to relate to because they don't see it as being relevant to their own lives. This book shows that math is indeed a part of our lives by sharing a story about Albert and his need to find his very own hiding place. One creature can hide in one hiding place. This creates a fun story but also a great teaching opportunity as the reader can talk about this math concept. There is also a teaching guide at the end of the book that shares ideas for following up on the topic both through discussion and activities. 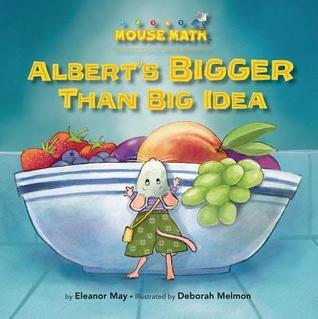 This is a cute story about Albert's desires for ever bigger fruit, but in order to carry them he needs bigger and bigger bags to carry them in, until he ends up with a bag big enough for a watermelon, but ends up using the bag for something else entirely. And he learns that sometimes are ideas are bigger than are ability to carry them out. The concepts of bigger and smaller a nicely addressed with a guide at the end of the book that suggests ways to emphasize these concepts. Adapted for young readers from the #1 New York Times–bestselling The Guns at Last Light, D-Day captures the events and the spirit of that day—June 6, 1944—the day that led to the liberation of western Europe from Nazi Germany's control. They came by sea and by sky to reclaim freedom from the occupying Germans, turning the tide of World War II. Atkinson skillfully guides his younger audience through the events leading up to, and of, the momentous day in this photo-illustrated adaptation. Perfect for history buffs and newcomers to the topic alike! 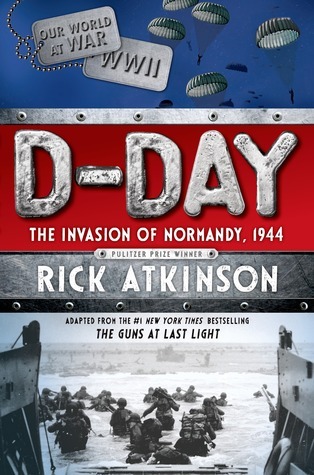 With the 70th anniversary of D-Day having recently passed, I thought it appropriate to highlight this title this month. Overall, I thought the book was beautifully designed with plentiful photographs and highly readable text. I did find one factual error on the caption of one photograph (Teddy Roosevelt Jr. did not establish the Rough Riders during the Spanish American War, his father did), but I'm assuming that will be fixed in coming editions. The book breaks up the book into several sections: The Plan, The Invasion, Epilogue with a number of appendixes. The appendixes I found very interesting as they looked at specific aspects of the war, including total numbers of soldiers, approximate number of casualties, weapons used, care of the wounded, etc. The photographs do a nice job breaking up the text so the book is more readable for young adults. Check out more Nonfiction Monday recommendations here. This amazing collection contains entries on everything from the bizarre to the horrific, and from the spooky to the just plain confounding. The book gives essential background information on the events and the people involved, discusses the impact of particular myths and beliefs, and provides updates on the latest investigations being undertaken in an attempt to find answers to these baffling phenomena. 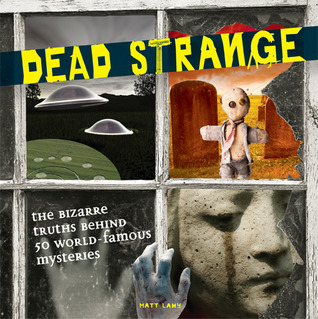 From Loch Ness to Bigfoot, spontaneous combustion to Roswell, each entry is supported with sidebars related to pop culture, and comes with a wealth of photographs. I found this book to be rather fascinating. Humans do seem to find the strange and mysterious rather compelling and the number of things covered in the book makes that clear. I didn't necessarily agree with all of the conclusions that the author came up with, but he does a nice job of including the different opinions related to each issue. I especially appreciated how he included the discoveries that science has made that either support or contradict the accepted ideas. For example, when he writes about the Shroud of Turin, he talks about its appearance, what people believe about it, and the tests that scientists have done on it that suggest its no where near old enough to have covered the body of Jesus Christ. I also appreciated how he left room for the reader to believe as he/she wants. The fact is for a lot of these mysteries, there is currently no definitive answer. An interesting book for readers who enjoy real-life mysteries, many of which still have no final answer. Check out some other great nonfiction reviews at the Nonfiction Monday blog. Millie is strong. Millie is fierce. But Millie has learned to keep her fierceness in check. And since she’s been sweet all summer long, Millie gets to have a sleepout with her friends. One where she promises to be well behaved. But things don't go as Millie planned, and our fierce little heroine is not happy. Still, she tries her best to keep her fierceness inside. But when the scary dog from next door howls at the girls' tent, Millie's ferocity saves them all! Illustrator of many books for children. Her memories of being a young girl riding her favorite horse, Killarny, provided some of the inspiration for Cindy Ellen. She lives in Deep River, Connecticut. Giggle, giggle, sigh. What a fun picture book! This makes a great sequel to Manning's original Millie Fierce. In the original book, Millie learns that being fierce can ruin friendships, parties, and make people mad and sad. So Millie keeps her fierceness in all summer and her mother lets her have a sleep out. Millie works hard to make the sleep out all kinds of fun, but when things start going wrong she struggles to keep her fierceness under control. It turns out though that sometimes a little fierceness can save the day. 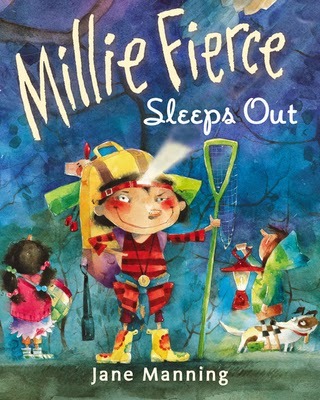 Not only is the book a lot of fun (Millie's sleep out sounds like a real blast!) but it also teaches young readers about self-control and the importance of standing up for oneself at the same time. This kind of story can so easily be didactic and eye-rollingly obvious, but Manning does a nice job of allowing Millie to be herself as she struggles to deal with disappointments and irritations. A great book for both enjoyment and learning, especially for young readers who struggle with fierceness themselves. Tanner Zane is a Mormon with a secret criminal past. Nobody suspects that, before his religious conversion, Tanner hacked into thousands of computer networks across the globe. He accumulated millions of dollars from his illegal activities until a sudden, life-changing event caused him to abandon hacking and give his fortune to charity. But Tanner’s guarded past is exposed when he is kidnapped by his mysterious neighbor and forced to hack into an impossible target – Los Alamos National Labs. Inside the government facility is a prototype quantum computer that is powerful enough to crack the digital safeguards of the Internet. 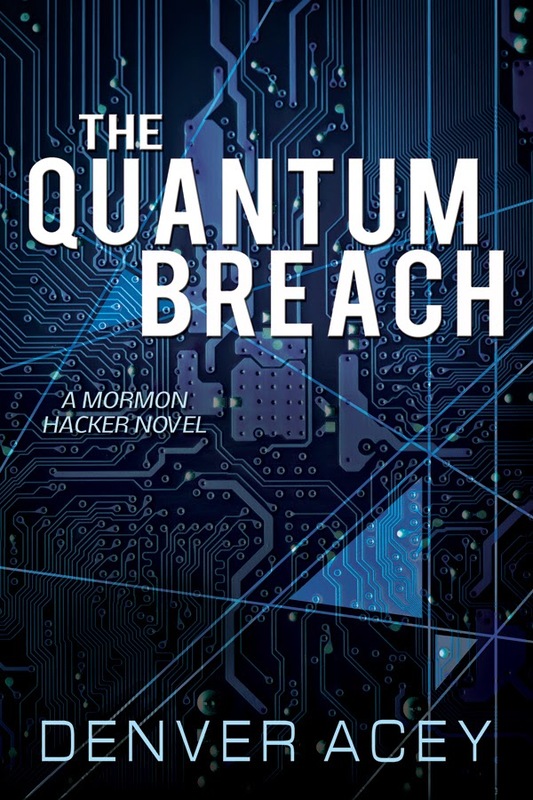 When Tanner learns that cyber-terrorists will use the quantum computer to commit massive identify theft and corporate espionage around the world, he deliberately engages in an intellectual battle with his captors to prevent them from obtaining the device. But over the years, Denver has become increasingly frustrated with Hollywood's inaccurate portrayal of cybercrime. Hackers are more intelligent and more sophisticated than simple teenagers, who guzzle down Mountain Dew while playing video games. Cybercrime is a billion-dollar business that encompasses organized crime and foreign governments. For these elite hackers, the fruits of success are iconic trademarks, innovative patents, and government secrets. Because of his unique background, Denver decided to write a book to dispel hacking myths while highlighting the tenacity of cybercriminals. Utilizing actual computer hacking concepts and scenarios that he has experienced firsthand, Denver illustrates -- in a simple way for even the non-techie to understand -- how vulnerable we all are to cybercrime. I haven't actually finished this book yet, but hope to do so in the next couple of days. I do like what I've read so far and the topic interests me greatly.